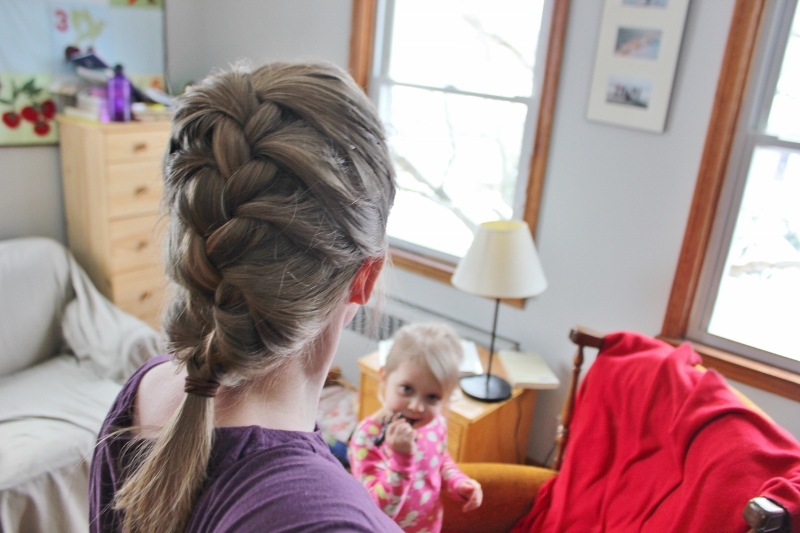 Somehow, I made it to age 37 without ever trying to French-braid my own hair. The other night, while the kids were in the bath, I was just idly playing around and figured it out! And now, it’s totally my go-to hairstyle! Ellie asked me to braid hers a couple days ago and although her hair is way too short and fine for it to stay in, we did it! 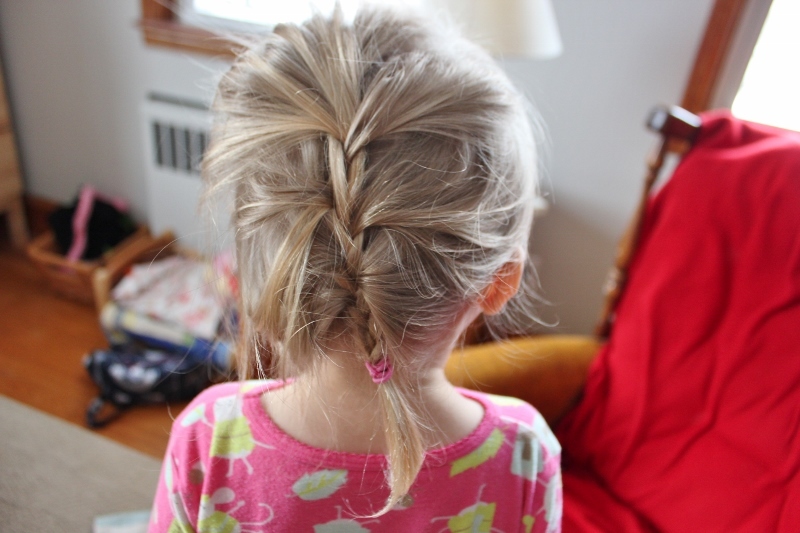 Isn’t that the cutest little braid you’ve ever seen? Not perfect but I’m getting better. 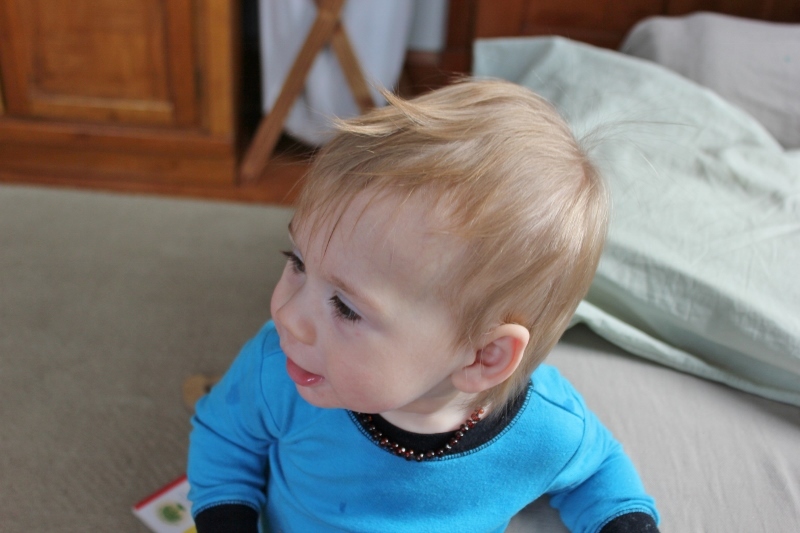 And, not wanting to leave out our little boy, hope you enjoy his latest style too! Wow, your french braid looks really good. I can get the top tight enough, but the bottoms usually end up fairly loose when I do my own hair. That’s exactly my problem too!